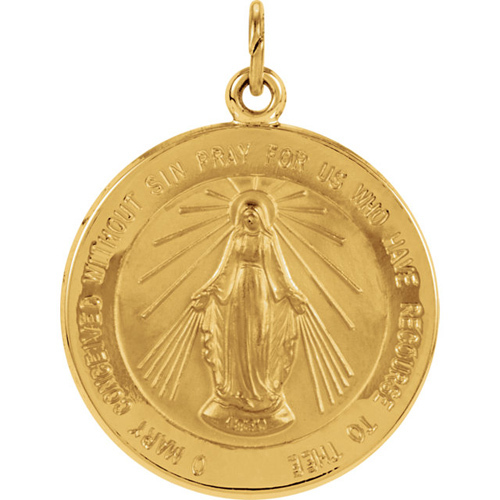 Round miraculous medal is made of polished 14kt yellow gold. 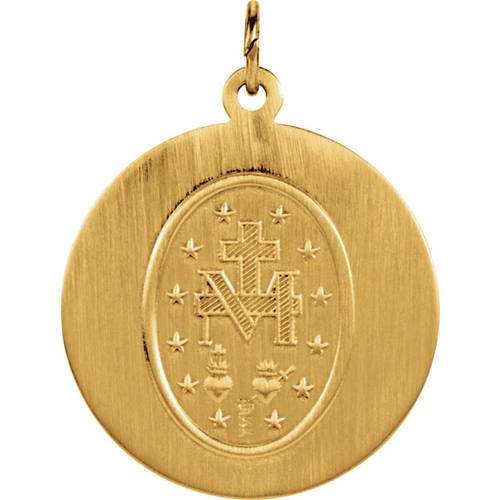 Medal is 20.5mm in diameter, about the size of a nickel. Inscription reads O MARY CONCEIVED WITHOUT SIN PRAY FOR US WHO HAVE RECOURSE TO THEE. Weighs 2.60 grams. Chain not included. We recommend a 14k gold chain no thicker than 2.0mm. Bail size: 2.25x2.2mm.